I wanted to start out 2016 as I mean to go on. With this in mind I signed up for the annual Resolution run on new years eve and a local Polar Bear dip for New Year’s Day. This was the first Christmas I had spent in Canada for a few years, but of course this year we were treated to snow! I lined up in -10 degrees for the 5km resolution run along the lakefront. Co-incidentally the same spot I would be ‘dipping’ in the following day. It was so cold! Maybe this wasn’t such a good plan. I have to admit that whilst waiting at the start line, wrapped up in layers and hopping around to fend off the cold, I seriously considered heading home to my nice warm sofa. Luckily the run started on time and we were off. Clearly I was very motivated to reach the end of this event, and I was hoping for a good time, however, the packed snow on the course might slow me down a little. As I ran around the course looking at the ground (for if I stopped concentrating for a moment, the ice would undoubtedly take me down), I kept reminding myself that this was my first commitment for the 2016 and to quit would set a tone for the entire year. I finished the run, without incident in 29 minutes. I was quite happy with this, especially considering the snow and ice underfoot. Then it was time to snag some hot chocolate and chat about the upcoming year with friends. New Year’s Day dawned crisp and cold and with a few snowflakes fluttering through the air. A flurry of text messages flew between myself and Pat, my friend and official cheering squad/photographer. The messages were mostly concerned with my sanity in considering this crazy venture and also whether I might need a ride (I have the best friends!). 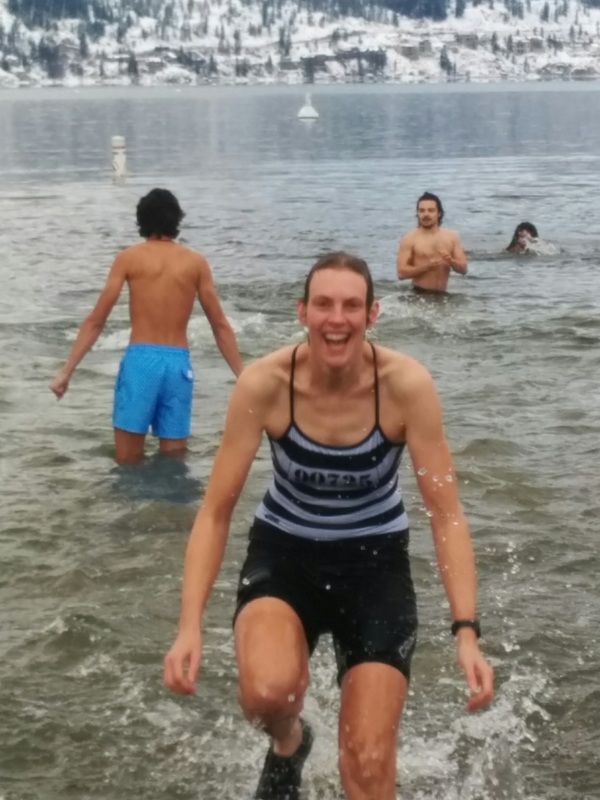 I had been considering a polar bear dip for some years, however for the past few years I had been out of town at New Year. It is for me one of those things that I just needed to do once, something to tick off the list. 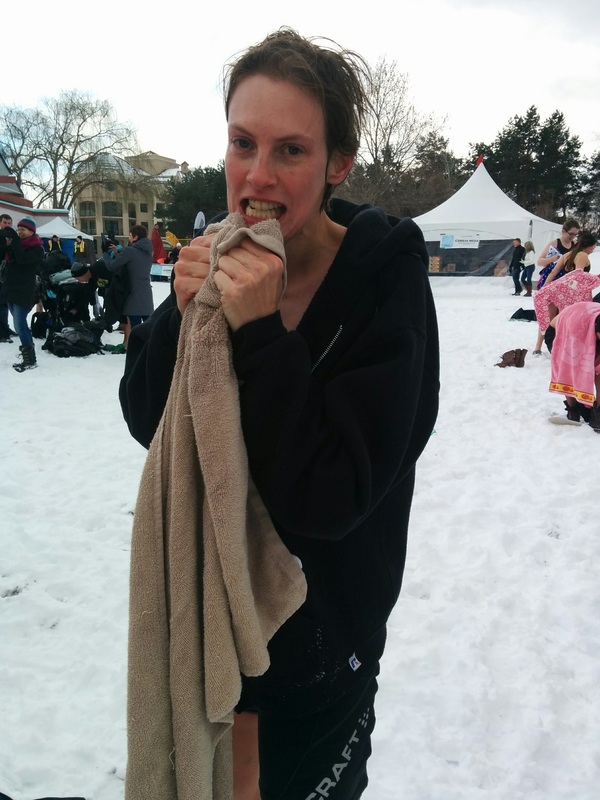 “Yup, I did a polar bear dip one year – it was cold” This was to be the year. 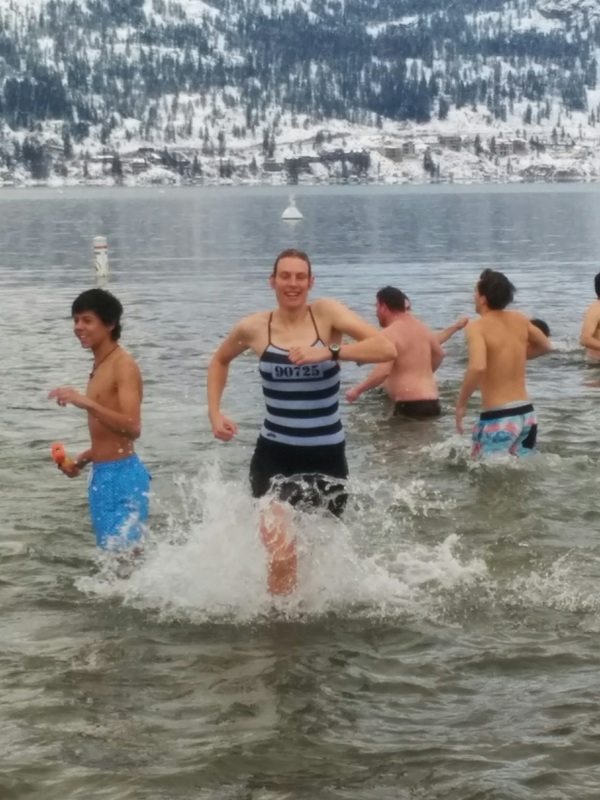 I dug out some warm clothes for before and after and we headed to the 2nd Annual Kelowna Polar Bear Dip in support of a wonderful local charity CRIS Adaptive Adventures, an organization aimed at making the outdoors accessible to people with disabilities. 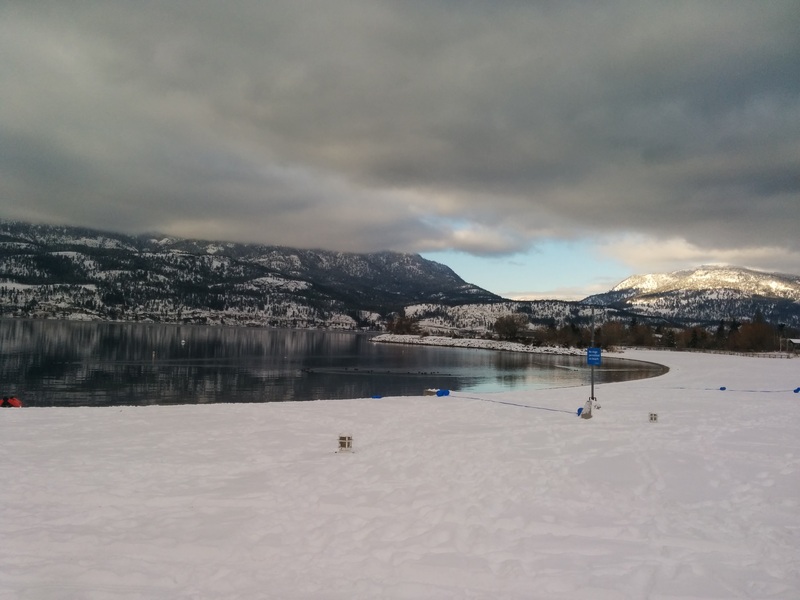 As we stood around the snowy beach awaiting the start, I was still unsure. 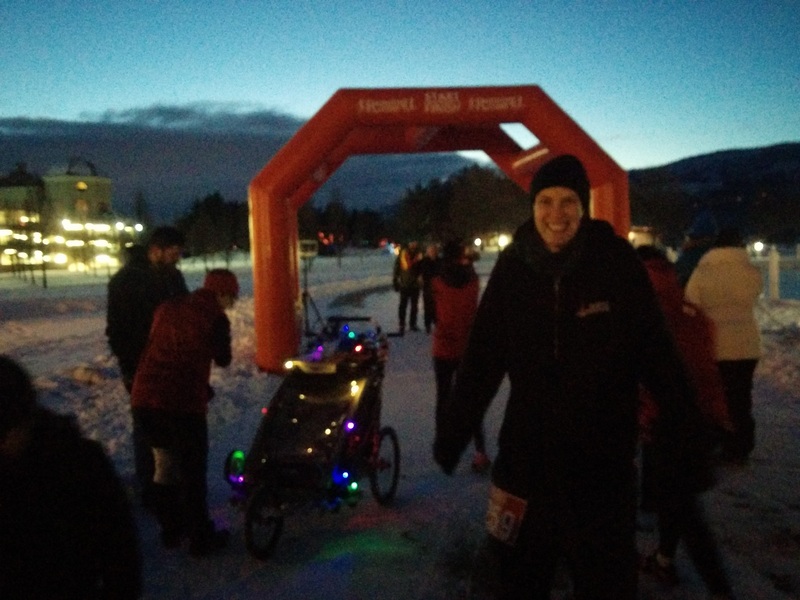 The temperature was only about -5 degrees, but I still envisioned that this might be the most painful I’d done all year (the year of course, amounting to about 13 hours at that point, but let’s not split hairs). I imagined the pain of a thousand knives all over my body. The cold lake water was uncomfortable in the summer, but that would surely be nothing compared to this. I saw a few friends. I can’t back out now. And then suddenly the countdown started and I was late! I dropped the jacket and ran to the water, bracing myself for the expected pain, knowing I would have to force myself to keep going forward. Many people were watching after all. And so, this was the moment. I waded out a little further (and in the direction of a lifeguard – just in case), one dolphin dive and I was done. As I surfaced, I looked around for my friends, waiting on the beach with a camera. I saw them and started running towards them and up onto the beach, grinning. So that’s my start to 2016. I hope this will be a great year. How do you mark the start of your year?